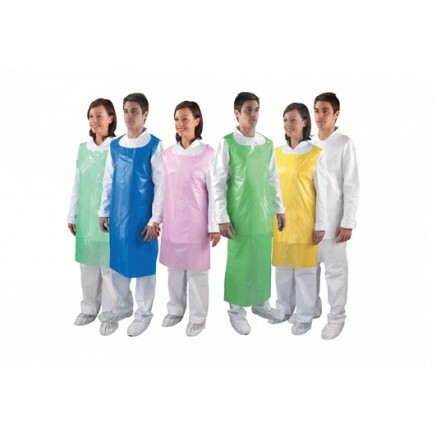 These disposable aprons are designed to protect clothing and skin against spills. They are anti-bacterial making them ideal for use in healthcare environments and upholding Health and Hygiene standards. Made from polythene, these aprons are packaged in a roll or flat pack and dispense simply and continuously. As standard, they features ties to secure the item around the back and a loop to go around the neck. Benefits Features disposable, anti-bacterial, ties to secure at the back and looped around the neck. Flat pack 100 Aprons, Roll pack 200.